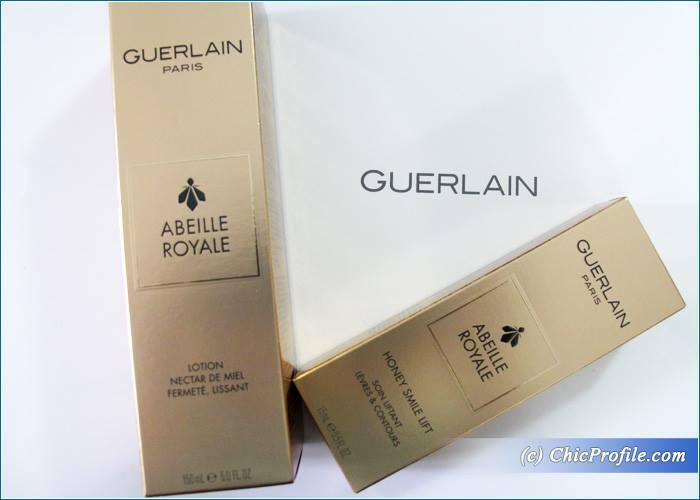 I previously posted the official information for the two newly launched Guerlain Abeille Royale skincare products, but the other day I got to take a closer look at these precious skincare gems. 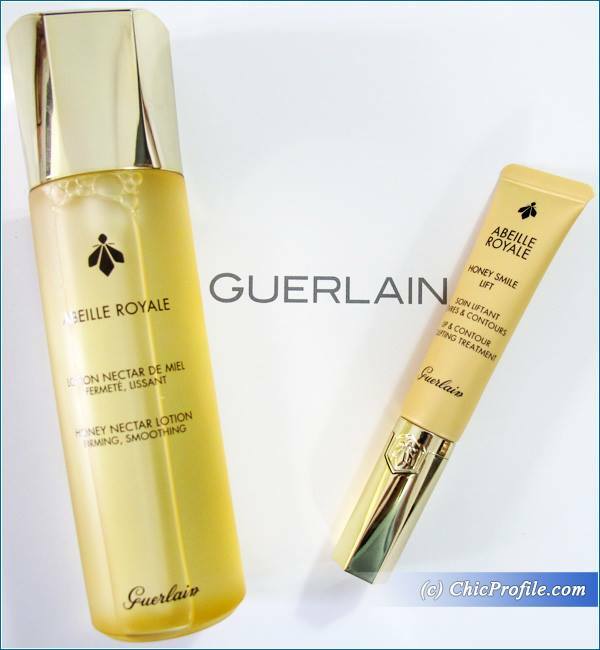 Starting February 2016 they will also be available in Romania so I invite you to discover the new Guerlain Abeille Royale Honey Smile Lift and Guerlain Abeille Royale Honey Nectar Lotion right after the jump. 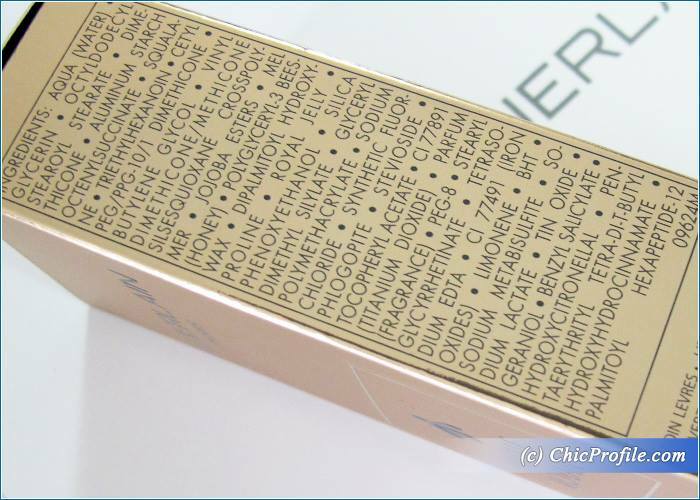 Romania Launch Date – now at Douglas perfumeriesI admit I haven’t got the chance to try these ones yet, but considering the previous Guerlain Abeille Royale products that I tried, my skin will be anxious to see the results after using these. I will have the prices in Lei (Romanian currency) next week, but they will be slightly on the expensive side considering we are talking about luxury skincare. 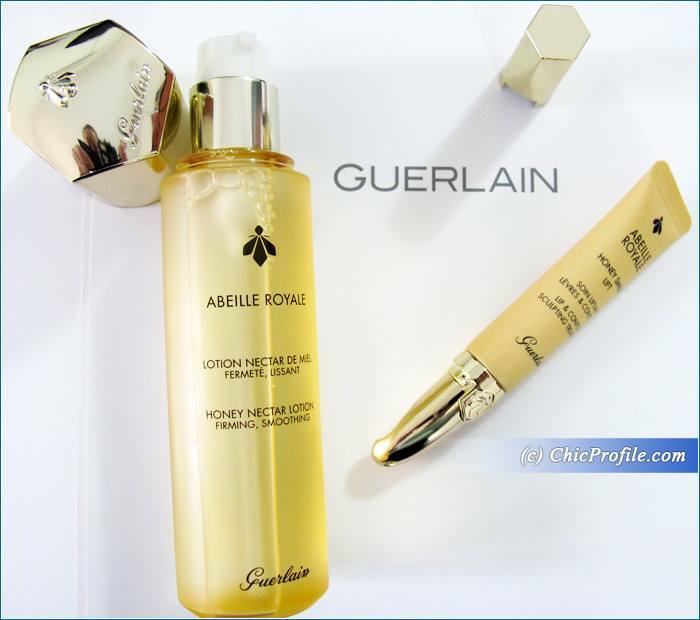 Guerlain Abeille Royale Honey Smile Lift & Lip Contour Sculpting Treatment ($82.00 for 16 ml / 0.55 fl oz) (quite a long name, wouldn’t you say? 🙂 ) is the first multi-purpose product launched by the brand and targets all sings of aging. You can use it on your lips for a fuller and plumper effect, to contour and reshape but also to smooth out lip lines for a perfectly defined lip shape. The scent is to die for, a delicate honey flower scented formula which makes it hard not to have the instinct to byte your lips. 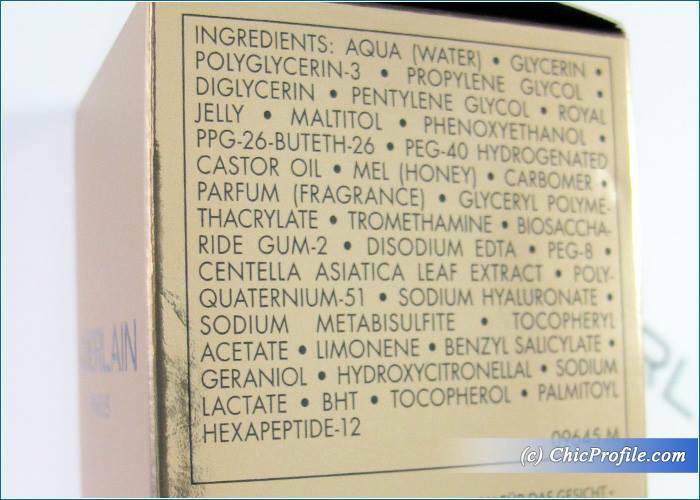 It should be applied after your daily eye care routine, morning and evening but prior applying Guerlain Oil or Serum. It helps correct visible and future signs of aging, loss of firmness and wrinkles. Guerlain Abeille Royale Honey Nectar Treatment Lotion ($68.00 for 150 ml / 5.1 fl oz) is meant to infuse skin with essential nutrients to sooth and instantly hydrate and give you an optimal skin condition. Your skin will be radiant, fresher and with a youthful appearance. The texture is lightweight jelly, that turns into a fresh water texture without being sticky.